This play was performed for the first time in the Kunstenfestivaldesarts (Brussels, Belgium). It was then succesfully presented in other European countries such as France, Netherlands, Germany and Austria. Filmmakers focuses on the stories of four filmmakers from Buenos Aires and the movies they are filming over a year. The personal lives of the filmmakers, the circumstances in which they are and the movies they are making are shown simultaneously on stage. 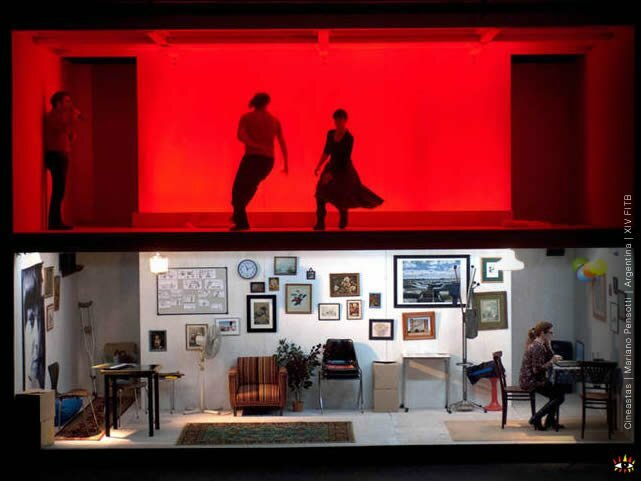 The space where the play takes place is a scenography having two simultaneous stages; one for life and one for fiction, allowing the contrast of these two planes to be simultaneously narrated. 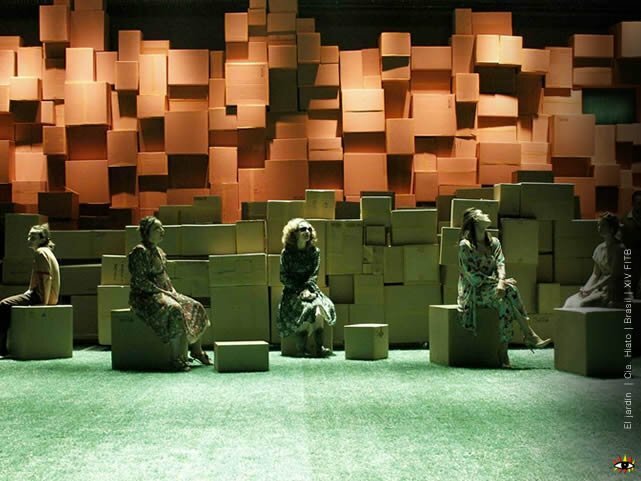 The Garden / "El Jardín"
O Jardim (The Garden) is the third play created and performed by Companhia Hiato (Hiato Company) from Brazil. Written and directed by renowned Brazilian dramatist Leonardo Moreira, O Jardim has received 19 nominations for main Brazilian awards. The play won the 2012 Shell Award for Outstanding Author, the 2012 APCA Award for Outstanding Direction, the São Paulo State Governor award for Outstanding Play and the Paulista Cooperative Theater Award for Outstanding Author and Play. In O Jardim stories of different times and spaces overlap creating frictions among themselves; complementing or contradicting each other. "Shadows" is a poetic, enigmatic, disturbing and surprising show about memories. 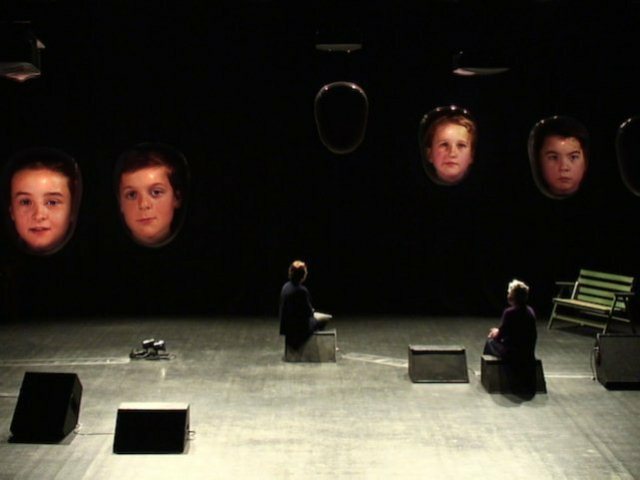 In the indefinable and magical interpretation, we approach the reminiscences of the past through projected faces of children who remember things that several elders have lived. Memories of a life together and back stories that connect them come on stage, in delicately intertwined dialogues. This is one of the most disturbing and strange texts by Jon Fosse, one of the most interesting contemporary Norwegian playwright, widely regarded as the great heir of Ibsen. 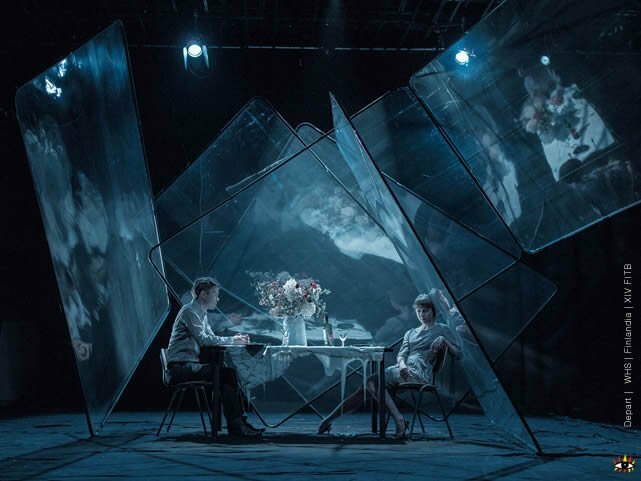 It is a show that challenges the conventional theater, as the text is built from the discontinuity, repetition and silence, where concrete bourgeois lifeworld becomes an elusive realm of shadows. De Utvalgte, is one of the most recognized independent theater companies in Norway. Founded in 1993 and headquartered in Oslo, is characterized by using elements in his productions and concepts from contemporary theater, video and live music, mingling with dramaturgical texts and documentary material. Their shows keep the balance on the boundary between theater and reality, with content that renew the performing arts. WHS is a visual theatre / contemporary circus group from Finland. It has performed in more than 30 countries around the world. WHS productions mix circus with other arts, especially video and image compliments. In Depart (Lähtö), their most recent production, circus, magic, dance, clothing design and visual arts merge to tell the story of a woman and a man involved in some kind of imagery dream. Corps de Walk / "Cuerpos en el muro"
Carte Blanche is the Norwegian National Company of Contemporary Dance. It was established in 1989. Its repertoire includes works by some of the best and most celebrated Norwegian and international choreographers. Corps de Walk was premiered on May 2011 at the May Performing Arts festival, in Turku, Finland. "In recent works I have used a system of walks. For me walks are the new dance. Walks with a combination of sketched technique create a kind of hi-tech building in which I see beating hearts of gold, emotional forms.” Sharon Eyal, choreographer and director.